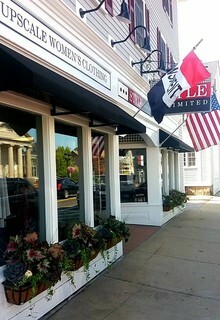 STYLE UNLIMITED is set in a charming building located at 62 Court Street in Historic Downtown Plymouth, Massachusetts. After you’ve shopped until your arms are full, but your pockets aren’t empty, check out the many museums, restaurants, and other historic attractions America’s hometown has to offer. A great place for a day trip, or a weekend getaway! With over 40 years of retail experience and a background in clothing and design, owner Diane Corcoran and her trained staff will show how to make your clothing budget go further with a great selection of gently worn women’s clothing, shoes and accessories from Top Designers, Specialty Stores, Better Department Stores, and Mail Order Catalogs. The racks and displays are organized by color for easy shopping and there are plenty of mirrors throughout the store for a quick “peek” at a possible “find”. 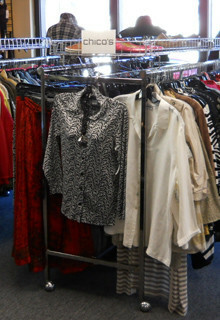 Now that you’ve found some NEW clothes, you may want to clean your closets, de-clutter and CONSIGN at STYLE UNLIMITED. Whatever your reason, Diane and her staff look forward to your visit!